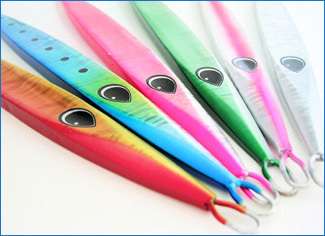 A specialist rod which hovers the Gummy Jig with a single-pitch action to better “tempt bites”. 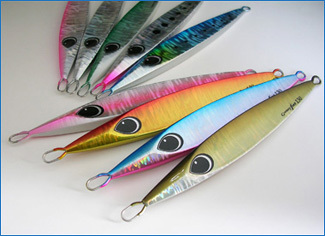 As the jig is not controlled with the tip of the rod,but rather the shaft Gummy Jig jigs can swim more effectively. 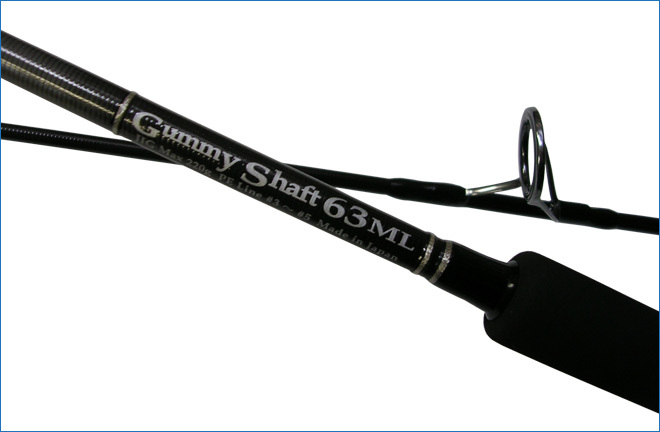 The point of support for the Gummy Shaft 63ML is located in a mid-position, and the rod has been adjusted to achieve a slow taper. 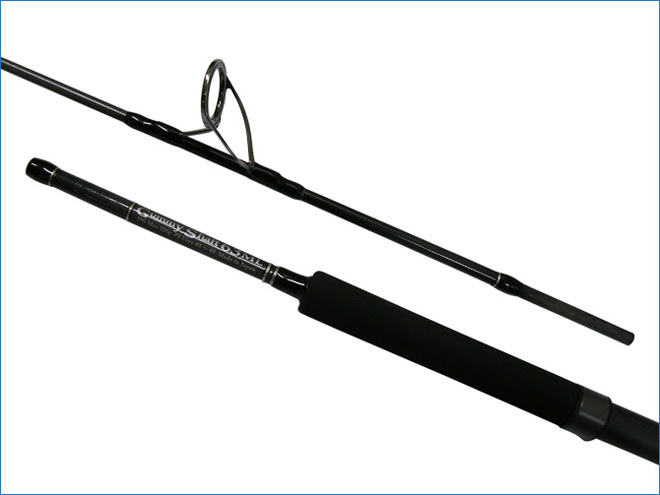 This rod provides users with an easier fight with its sturdy base in your hands and the potential to hook on to a fish and bring it to the surface. 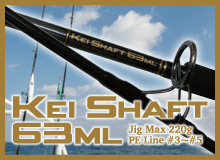 This rod provides a greater feeling of movement when swinging or sweeping (hovering) the Gummy Jig with single pitch movements. Get in touch with the essence of Gummy Jig fishing with this rod. Recently airplane luggage size and other baggage standard regulations have undergone changes, starting with major airlines. 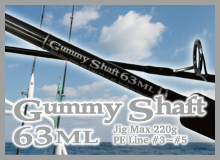 This design – the Gummy Shaft 63ML – features a longer rod and half rod split design to allow for greater peace of mind when taking it both inside the country and abroad. Any size fears have been allayed by keeping packed pole dimensions to 121 cm. Naturally, repeated sturdiness and operability testing by Kei Hiramatsu himself have also given the all clear regarding rod durability. 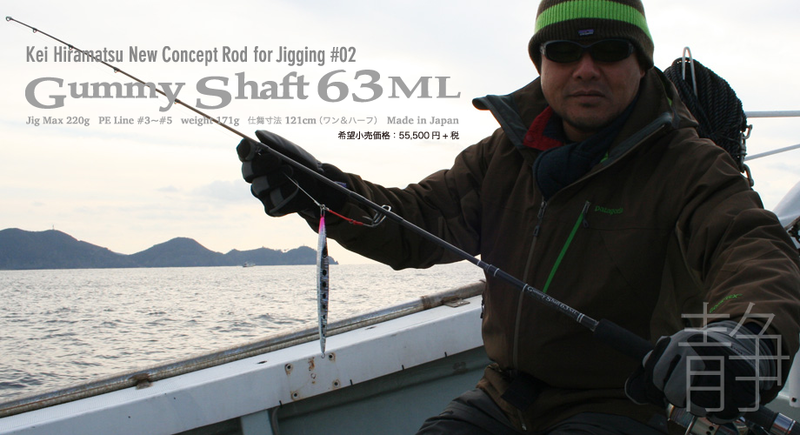 Experience the new concept rod “Gummy Shaft 63ML” and feel the difference that all the essential elements of a modern style of jigging make.